Provides an interface to navigate colors and submits a 6-character hex code (with the hash mark), e.g. `#ffffff`. 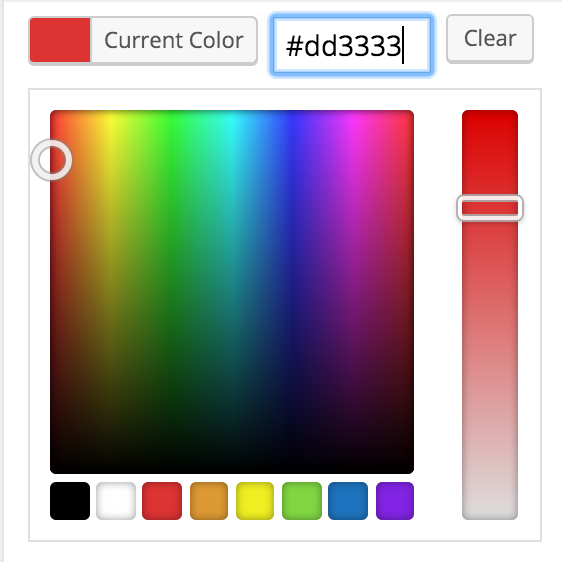 This field uses the WordPress core color picker introduced in WordPress 3.5. This screenshot is the expanded view.